The jury in the murder trial of Anna Politkovskaya has reached a verdict. Sergey Khadzhikurbanov, the Makhmudov Brothers, Ibragim and Dzhabrail, and FSB employee Pavel Ryaguzov have been unanimously found not guilty. The jurors say the guilt of the defendants – Sergey Khadzhikurbanov, accused of arranging the murder, brothers Dzhabrail and Ibragim Makhmudov, accused of involvement in the murder, and Pavel Ryaguzov, accused of other offences, – had not been proven. The four former suspects say they will demand compensation. They were freed on Thursday immediately after the verdicts were delivered. The Russian Prosecutor General's Office intends to challenge the not guilty verdicts in the case. “Naturally, we will challenge this verdict because of procedural violations,” prosecutor Yulia Safina said. Meanwhile, Politkovskaya’s son believes that all the four men, whom the court acquitted of guilt, are involved in his mother's assassination in one way or another. “I think all the four defendants are involved in my mother's murder in one way or another,” Ilya Politkovsky said. “The degree of their guilt and involvement in the crime should be proved in the courtroom,” he added though. 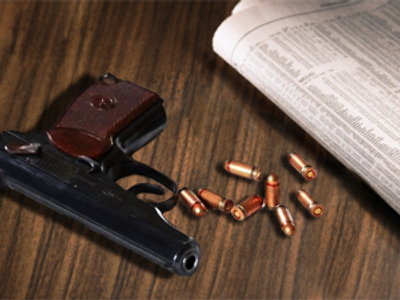 The prominent journalist was killed near her home in 2006. The defendants denied being accessories to the journalist’s murder and expressed the hope Politkovskaya’s murderers will be found. 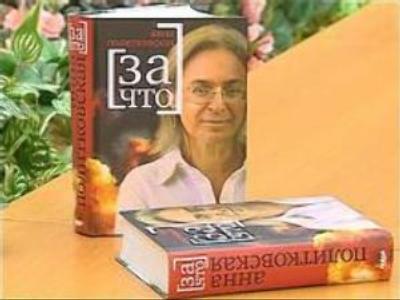 Many in Russian media circles describe the work of Anna Politkovskaya as a benchmark of investigative journalism. Famed for her reports from war-torn Chechnya c, Politkovskaya was one of the Kremlin's fiercest critics. She often lashed out at the authorities over alleged human rights abuses in the region. The journalist received several international awards for her works. But to her it was the acclaim of her colleagues that mattered the most. “For those who know, she was an outstanding example of what a journalist is supposed to be. She was honest, she was courageous, she was thoughtful and she was responsible. She was one of the few who could not be bought for money or anything else,” said prominent Russian journalist Vladimir Pozner. In October 2006 Anna Politkovskaya was gunned down in the entrance hall of her apartment block in Moscow. It was one contract killing which stunned the world. Anna’s colleagues have little doubts her death was connected with her work. According to Novaya Gazeta the verdict on the three suspects in Moscow will not be the end of the story. “We want a just verdict, but the key is to find the ones who ordered and executed the killing,” said Sergey Sokolov, Anna’s colleague.